We often come across stumbling blocks in our genealogy research, such as an old letter in a language we don’t understand, a mysterious family photo in which we cannot identify the people, or a particular ancestor for whom we cannot find any information. Help from others can make all the difference in breaking through these genealogical brick walls. 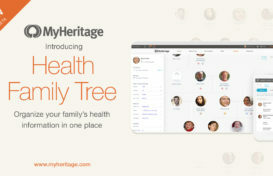 “MyHeritage Community” is the name of a new, much-needed Questions & Answers hub for our users to collaborate and help each other in typical genealogy quests such as locating long-lost relatives, translating historical documents, deciphering illegible handwriting, identifying unknown people in photos, or searching for elusive ancestors. It’s built as an image-oriented forum, integrated into the MyHeritage website (so you don’t need to sign up separately for it), it can be a game-changer for your research, and it’s totally FREE. MyHeritage Community is based on the spirit of volunteerism with which the genealogical community is blessed. One definition we like for a genealogist is a person who, after consuming most research directions for his/her own family tree, starts looking to help other people research their family tree, just because he/she loves the pursuit so much. MyHeritage Community is the perfect place for people who meet that description, and for all of us who could use help from time to time. With 81 million registered users (of which more than 30 million have created family trees), located in practically every country around the world, and who speak the 42 languages supported by MyHeritage (and others), MyHeritage’s international user community has much to offer. With MyHeritage Community, you can receive assistance with your own research, or help other users. Users can benefit from native language expertise. For example, a user from the USA, who finds an ancestor’s handwritten letter in Norwegian, can post an image of the letter and ask for translation. Another user from Norway will step forward and volunteer to translate it. 1) In the following example, a woman of Italian heritage was searching for birth or marriage records of her ancestors from Fara San Martino, Italy. The answer from a friendly user informed her that the town’s records cannot be found online, but gave her more information about who to contact to search further. 2) In this case, a user from Brazil submitted a Confirmation certificate from 1882 and requested to have it translated from German. He was answered by an American user and a German user who explained to him the significance of the document and its origins. The submitter was thrilled to receive answers about the document. 3) In the following example, a user posted a death notice and requested that it be translated from German into English. He received a response on the same day with an English translation. 4) Here a user in Sweden asked for help deciphering the Russian handwriting on an ancestor’s photo. The user received the captions in printed Russian, making it much easier to read. What we really love about this one is that the original request was in Swedish, the answer was in Russian, and the “thank you” was in English. A truly global community! You will be notified by MyHeritage via email whenever someone responds and posts a comment on your request. All requests will be listed under “Recent Requests,” which all other members can see. Your own requests will also be listed at the bottom of the page under the caption “Your Requests” and you can easily access them at any time. Provide as much information as possible about your request. Specify names, dates, and anything you know that is relevant. This will enable others to help you efficiently. We recommend that you write your requests in English because this will maximize the size of the audience who can help you. It’s not a must, but it’s recommended. The MyHeritage Community is not a forum for technical support or for contacting company representatives. For those needs, please visit our Help Center. Don’t worry if you don’t receive help quickly; your request will remain on the Community and sooner or later someone may find it and help you. Go to MyHeritage Community and browse for posts that you find interesting or within your expertise. Provide assistance by posting comments to a request. When you do so, the submitter will receive an email notifying them that you have commented on their request. Choose to show all recent requests or filter requests by type. If you are a genealogist or an experienced family history fan, we and our users would much appreciate it if you could visit the Community from time to time and help others! We invite you to visit MyHeritage Community today, and post questions about genealogical mysteries in your family that you need help solving. We encourage genealogists to be kind to their fellow users, bookmark the Community and review the posts on it from time to time, and help out other people with their brick walls. We are sure that many success stories will emerge thanks to this useful and pinpointed resource, and we look forward to this. Do you have to have a subscription to My Heritage to participate? 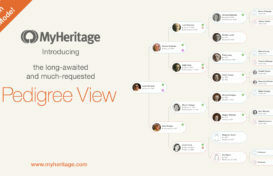 The MyHeritage Community is completely FREE to all. You can sign up with a basic MyHeritage account and then begin to collaborate with others.